Learning numbers for kids is much easier with this simple baby rhyme. 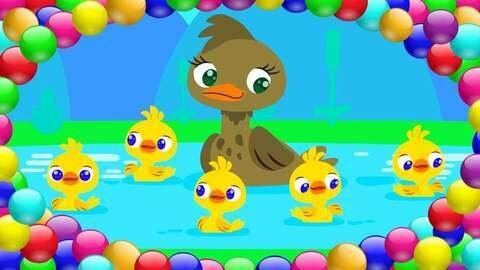 Mother duck takes her little ducks for a swim in this music cartoon about the “Five Little Ducks” rhyme for kids. Oh no, mother duck lost the little ducks after they swam far away. See how many little ducks come back in the end after they hear mother duck calling them. Enjoy other music cartoons with baby rhymes when you visit SeeZisKids.com.